The location was inspiration for Mac's 2011 debut album "Blue Slide Park"
If you didn't know Pittsburgh native Mac Miller named his debut album "Blue Slide Park" after a Frick Park playground in Pennsylvania, you will now. 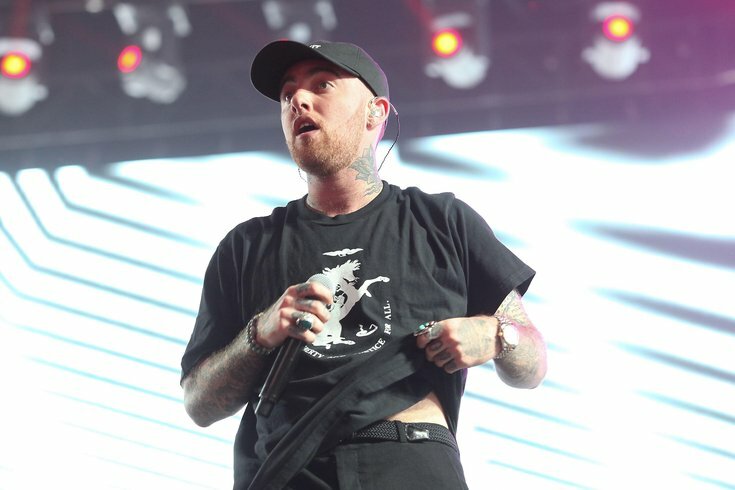 The playground, with its now-iconic blue slide, has been renamed on both Google and Apple maps as "Mac Miller's Blue Slide Park" in honor of the rapper's local legacy. Miller tragically overdosed at age 26 in September 2018. A fan account noticed the switch on Monday and posted a now-viral tweet, alerting everyone the Frick Park playground in the Squirrel Hill section of the city had been suddenly renamed. The playground inside Frick Park in Pittsburgh that played inspiration for Mac Miller's debut album “Blue Slide Park” has been renamed for the late rapper on maps online. The Pittsburgh Post-Gazette reported City Council members in the area were interested in changing the park's name, however no concrete steps had been taken and the late rapper's family had not been approached about a dedication. It's unclear how the name was changed, as of Monday. The playground has been a big part of the rapper's life and legacy. Days after he died, thousands of fans gathered in the park to recognize Miller's work and local impact. His grandmother even spoke at a vigil there. CORRECTION: This article previously misstated Mac Miller's time of death.